Prior to the instant offense, Mr. Illarramendi worked in the securities industry with Credit Suisse from 1994 to 2004, conducting extensive work in Latin American countries, including Venezuela (“BROV”). PSR, at 23. While at Credit Suisse, Mr. Illarramendi was the leader of a team that developed a bolivar to U.S. dollar (“BVD/USD”) arbitrage mechanism that spawned the BROV’s ability to fund itself at significantly discounted interest rates. In 2004, he took a sabbatical from Credit Suisse, and began a special assignment as an advisor to Venezuela’s national oil company “Petroleos de Venezuela, S.A.” (PDVSA). PSR, at 22-23. During this assignment Mr. Illarramendi generated approximately $1.6 billion in savings, when based on his advice, PDVSA was able to repurchase $2.0 billion in outstanding bonds, utilizing Mr. Illarraendi’s arbitrage innovation. Thereafter, the BROV began issuing profitable bonds. PSR, at 22. Specifically, Mr. Illarramendi advised the Venezuelan government to issue bonds denominated in U.S. dollars, which were purchased using bolivars (“BVD”) at the official exchange rate. This allowed the financing of currency exchanges, and lower yields than would otherwise be available in the international markets. PSR, at 5. Ultimately, Mr. Illarramendi’s instruction and advice paid dividends well into the future, to the tune of billions of dollars for the BROV and PDVSA. This entry was posted in Uncategorized and tagged courts, illarramendi, pdvsa, usa on April 8, 2015 by Steven Bodzin. I wrote to US District Court to encourage the court to unseal some documents in the case of Otto Reich against the Derwick Associates guys. It’s a bit amusing to see my name on the docket, as I didn’t realize my letter would end up part of the official record, available on PACER and such. But of course turnaround is fair play — my whole point is that open court should be open, and other than some personal data, the public has a right to know what the court is hearing. So, no problem at all. I am a reporter who has been following the proceedings in Reich, et al. v. Betancourt Lopez et al., 13 Civ. 5307. I am writing to support the plaintiff’s motion to unseal documents. The public has an interest in transparency of as much information as possible from this case. I have no financial, political or other interest in the case and my only relationship with the parties is one of journalist-subject. As the writer of the blog Setty’s Notebook (https://settysoutham.wordpress.com) and occasional contributor to Venezuelan news outlets, Vice magazine, Mother Jones and the Texas Observer, I have been one of the few journalists to keep track of the long international saga of alleged corruption in the contracting for Venezuelan electricity plants since 2012. Readers of many news outlets are interested in learning more about Derwick Associates and its principals, as I can see in the visitor logs to my blog. Aside from the general public, there are also state authorities that rely on the press to help them discover and understand the complexities of Venezuelan business. Access logs show the FBI, US Senate, SEC and US District Court have all visited my blog seeking information about Venezuela in recent months. Information from the sealed files could help, for example, to accurately report on Banca Privada d’Andorra (BPA), an Andorran bank that the US accused last week of being involved in money laundering. Two people whose names appear in the Reich case, Nervis Villalobos and Javier Alvarado, may have laundered money through BPA, according to Spanish newspaper El Mundo. It is a challenge for reporters and the public that so much of the world’s business happens in places like Venezuela, Spain, and Caribbean island nations, with their opaque court proceedings and corporate registers. The US’s relative transparency helps people everywhere. When people decide to do business in the USA, they get the benefit of a stable, trusted economic and political system. One of the few “risks” they take is that in case of a dispute, they may have to tell the truth in public court. Obviously, there is personal information that should be kept out of public view. I just find it frustrating that so much material is currently being submitted under seal. I was driven to write by an article by the Reporters’ Committee for Freedom of the Press, which said that reporters could sometimes get documents unsealed in the public interest (http://www.rcfp.org/browse-media-law-resources/news-media-law/news-media-and-law-fall-2014/first-step-unsealing-court-re). I hope that you will do so in this case. Unlike some things I’ve written, I’d say that’s a fine first entry into the records of US court. This entry was posted in Uncategorized and tagged courts, derwick associates, lawsuits on March 29, 2015 by Steven Bodzin. For those late to the story: Arevenca is a Venezuelan company that may have once been a gravel yard. 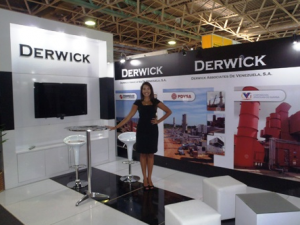 It has little history in Venezuela, but has a spectacular website advertising vast holdings in the oil shipping and refining industries. Almost everything on the site appears to be false. None of its refineries exist. No ships registered to Arevenca appear in any shipping databases. A supposed Nigerian company, which also has no paper trail, sued Arevenca in the US for allegedly accepting payment for a shipment of petroleum products and then failing to either deliver the fuel or return the cash. Separately, I have heard from various sources that a company in the US paid Arevenca US$7.8 million for petroleum products that never arrived. Just after that transaction, Arevenca leased an Airbus jet and tried to start an airline in Aruba — investing, according to a recent company statement to the press, 14 million florins, which coincidentally is equal to US$7.8 million. Aruban authorities haven’t yet given this airline, Fly Aruba, an operating license, so the jet has been sitting on the runway, gathering salt in its engines. Fly Aruba had started to train workers, but the workers have recently been getting impatient about the company failing to make payroll. Those workers have started sending lawyer letters to Arevenca. 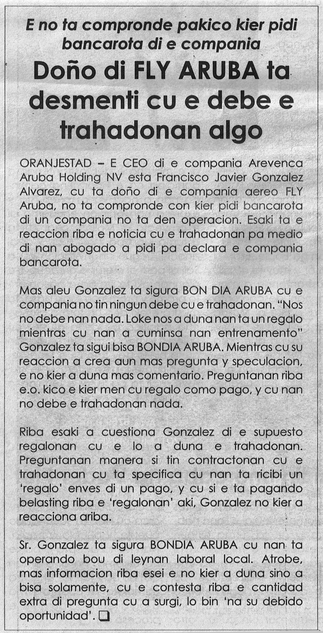 Reader JS sends these news clippings from Aruba newspaper Bon Dia. The process has started [in which the workers get the court to] declare the company bankrupt…. The newspaper spoke to 2 employees but the lawyer of the employees could not be contacted…. 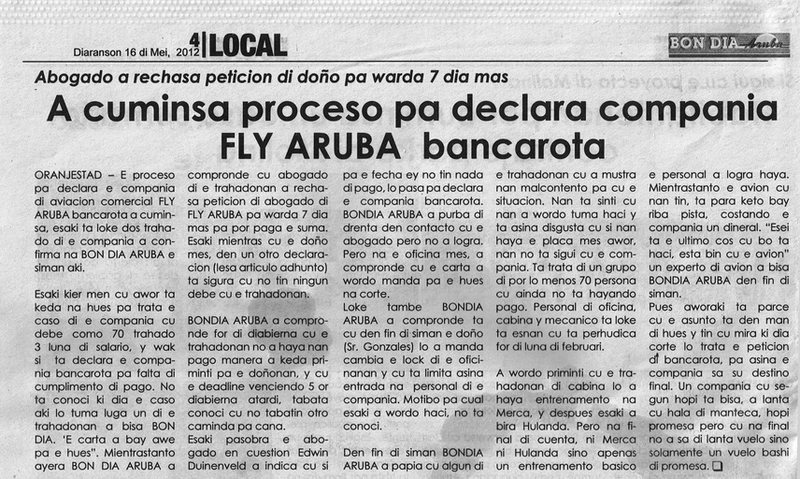 The date for this process is not yet known and it is in the hand of a judge to decide the future of Fly Aruba. In the other article [Arevenca President Francisco Javier Gonzalez] is saying he doesn’t understand why they want to declare the company bankrupt as he doesn’t owe the employees anything. He says he was giving the employees a gift [rather than salary] while they were in training. The newspaper is asking, is this stated in the contract of the employees and how is it possible that workers get a gift instead of wages? And is FJG paying taxes on this gift to the employees? FJG did not want to answer these questions to the newspaper but confirmed that he is operating under local law and conditions. He explained that the thousands of question they had for him will be answered when the time is right. Now just to game this out a little, if the Aruban authorities go along with this idea of declaring Arevenca bankrupt and seizing some of its goods to pay workers, that is less money for the US company and the Nigerian company who are also trying to get money out of Arevenca. Could be a mess. This entry was posted in Uncategorized and tagged arevenca, aruba, courts on May 17, 2012 by Steven Bodzin. Monday and Tuesday, Chile charged eight emergency response bureaucrats with negligent homicide for calling off a tsunami warning after the 8.8-magnitude earthquake of 27 February 2010. That quake sloshed the Pacific ocean so hard that it generated a tsunami wave so high that it soaked land as much as 20 meters above sea level and hundreds of meters inland. The wave killed 156 people and left 25 missing. But even as the wave was hitting towns and villages, emergency response agencies were saying there was no tsunami. This week, some people in charge of the agencies were charged with negligent homicide in a trial that is drawing national attention. 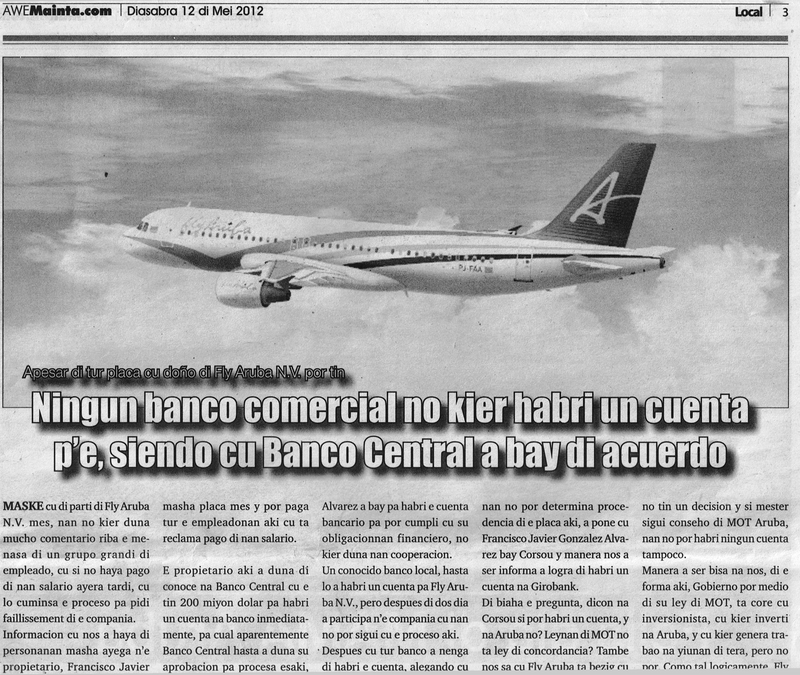 Some Santiago newspapers are blogging the trial live; here is La Segunda’s version. This entry was posted in Uncategorized and tagged chile, courts, csmonitor, disasters, politics on May 9, 2012 by Steven Bodzin. Amidst the flurry of news in the middle of February — Chavez cancer, Venezuela shipping diesel to Syria, my folks coming to visit — I never even noticed this article come out. But man, it’s interesting. I had no idea that Empresas Polar had taken the Venezuelan government to international arbitration. This is at least the second case of an ostensibly Venezuelan company using a foreign shell company to get protection under international arbitration rules, rather than being stuck with the rather weak protections of Venezuela’s domestic court system. (Reuters) – A Barbados-based holding company led by executives of Venezuelan food and beermaker Empresas Polar has filed an international arbitration claim against President Hugo Chavez’s government over its nationalization of a fertilizer project, documents show. The move may set a precedent for Venezuelan companies seeking access to international courts to settle disputes with the socialist government that otherwise would be litigated by local judges, who critics say are controlled by Chavez. This entry was posted in Uncategorized and tagged arbitration, company news, courts, polar, venezuela on April 10, 2012 by Steven Bodzin.